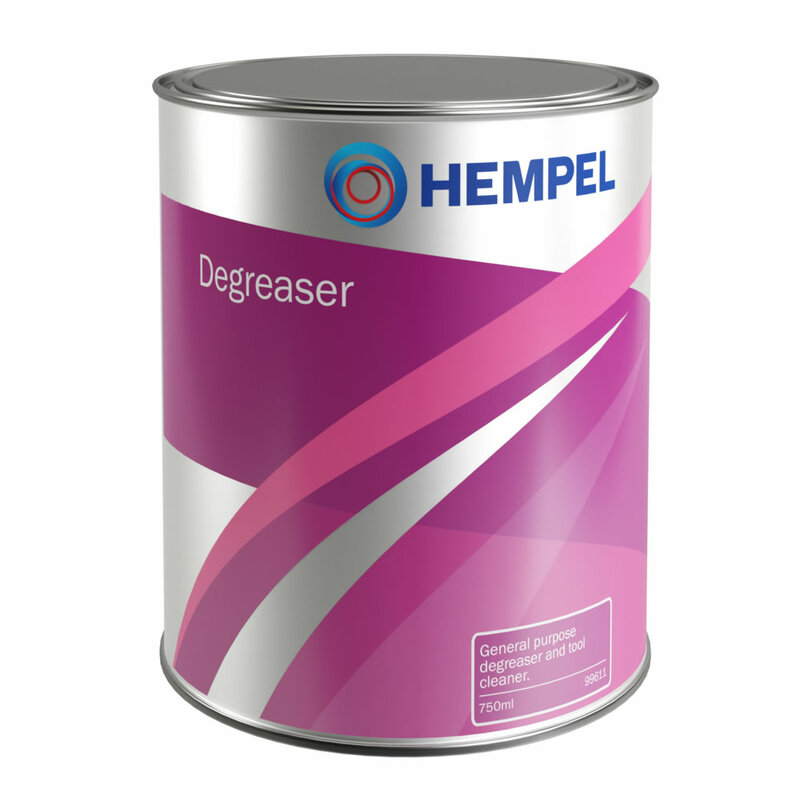 Hempel Degreaser is a cleaning agent based on a mixture of solvents. For removal of wax coats, silicone residues from mould and polish used for polishing of glass fibre. For use before grinding of glass fibre. Suited as a tool cleaner after use of two component epoxy products. Degreaser is ideal for the removal of surface contaminants, including grease, oil, wax, and silicones. Do not use on single components products, Also ideal for preparation of oily woods prior to coating. consult HEMPEL Safety Data Sheets and follow all local or national safety regulations.